An AB and DEMETER certified dry white wine Pressed as soon as the whole clusters are gathered, the wine is then racked cold before fermenting a controlled temperature between 16°C and 17°C Malolactic fermentation occurs naturally on fine lees in order to preserve all of its aromatic potential. It is generally bottled in the springtime, after the harvest. 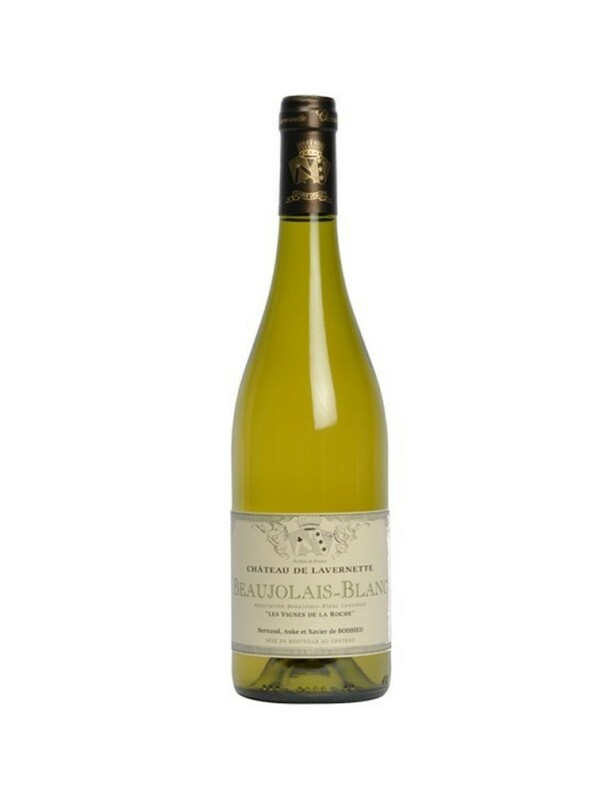 A pale and brilliant colour, this white Beaujolais reveals scents of linden flower and roses. A note of stoned fruit on the palate, accompanied by a nice acidity gives this wine a very good, pleasant and refreshing balance. Parfait pour l'apéritif, agrémenté d'une terrine aux saumons. Idéal sur un plat comme une anguille en matelote ou un pigeon aux petits pois. The Lavernette land and house, property of the monks of the Abbey of Tournus, became the Lavernette seigneurial seat in 1596. The vines were already part of the estate at this time, there was a winery, with two wine presses and four large vats. Today, Château de Lavernette, located at the crossroads between Mâconnais and Beaujolais in the communes of Chaintré and Leynes, belongs to the Boisseau family, descendants of the Lavernette family.Antoine and Yvonne de Boissieu took over the estate and cultivated the vines until 1978. Bertrand and Hubert, two sons from among Antoine and Yvonne's 14 children, set up a jointly-run farm, known as a 'GAEC' together and continues to grow vines, taking them to the cooperative until 1988. Bertrand and Anke created an 'EARL" (limited agricultural company) and reinstalled the old winery to be able to make and sell the wine themselves. Hubert took retirement in 1997.Since 2007, Xavier, Bertrand and Anke's son, along with Kerrie, his wife, have all worked together on the family estate, combining their qualities, experiences and knowledge to produce great wines.